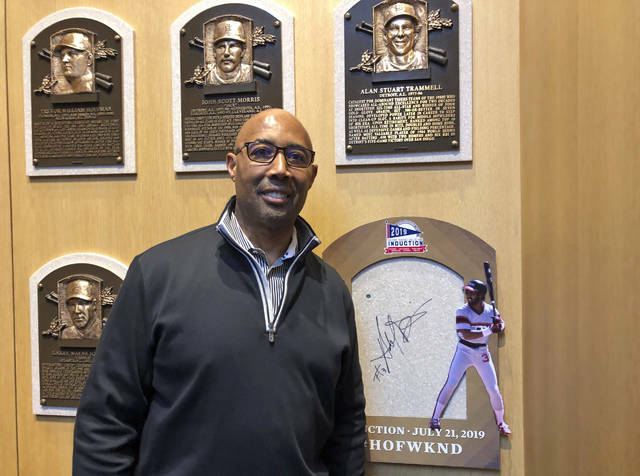 COOPERSTOWN, N.Y. (AP) — Though clearly struck by the moment, Harold Baines kept his emotions in check just as he always has — even on a day he’ll never forget. “I hold it inside. 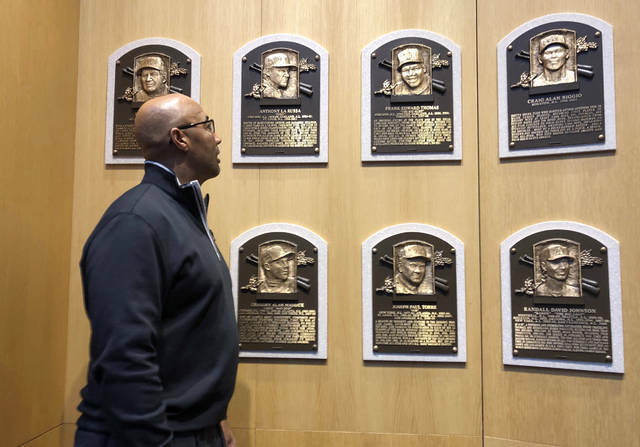 It’ll come out,” Baines said Tuesday, sitting just a few feet from where his bronze plaque will hang in the Baseball Hall of Fame come late July. “It’s very special, but it still hasn’t really sunk in. Baines and reliever Lee Smith were selected for enshrinement in the Hall of Fame at the baseball winter meetings in Las Vegas in December by a 16-member veterans committee. It took 12 votes by the panel to gain election — Smith was unanimous, while Baines received the requisite 12, one more than Lou Piniella. Mariano Rivera, Edgar Martinez, the late Roy Halladay, and Mike Mussina were selected last week by the Baseball Writers’ Association of America. All six will be inducted July 21. In the key WAR stat, as compiled by baseballreference.com, Baines’ lifetime total was tied for 545th. “I’ve been blessed with this honor and I’m going to try to uphold it as best I can,” he said. Baines, selected by the White Sox as the top pick in the 1977 amateur draft out of St. Michael’s High School in Easton, Maryland, played for five major league teams but spent nearly all of his first 10 seasons with the White Sox and currently serves as a team ambassador in their community relations department. Editor’s Note: Baines played for the Cleveland Indians for part of the 1999 season. An the field and off, Rachel Robinson was a pillar of emotional support. Disclosure statement: Chris Lamb does not work for, consult, own shares in or receive funding from any company or organization that would benefit from this article, and has disclosed no relevant affiliations beyond their academic appointment.